I am glad that the Bishops’ Council of the Ukrainian Orthodox Church has been a success. 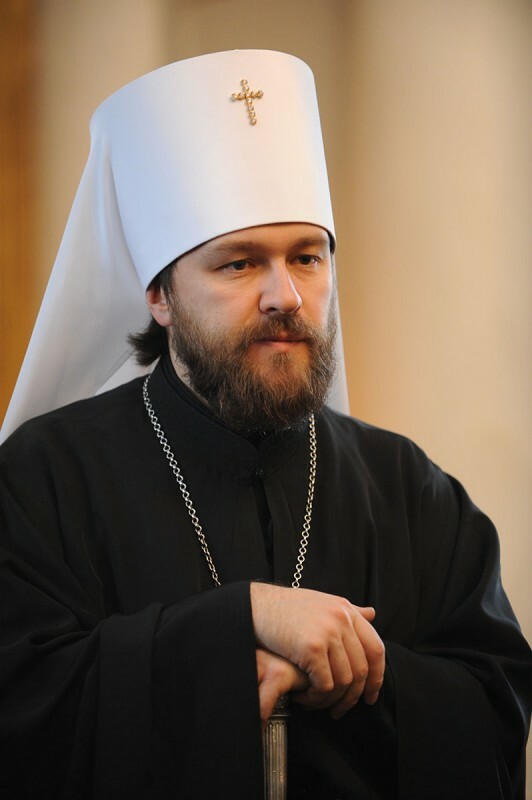 By a free vote of the archpastors, a new Primate of the Ukrainian Church has been elected. In spite of hard political circumstances, the Ukrainian episcopate, which represents all the regions of the country, has shown cohesion and fraternal unity. The new Primate will have to assume the office at a time difficult and tragic for the Ukrainian people. In the east of the country, there is a war going on, blood being shed and people suffering. The responsibility placed today on the Primate of the Ukrainian Orthodox Church is as great as never before. The choice made by the Ukrainian episcopate was not surprising for me, since very many in our Church know and love His Eminence Onufry. He is a spiritual and devout person who enjoys authority both among the monastics and the laity at large. His Eminence is a committed supporter of the unity of the Russain Orthodox Church of which the Ukrainian Orthodox Church is a self-governed part. As it behoves a true pastor, His Eminence does not make sharp or disputable political statements, nor does he take sides but seeks, as commanded by St. Paul, “to become all things to all men, that I might by all means save some” (1 Cor. 9:22). Our whole great and multinational Church is now praying that the Lord may strengthen the newly-elected Metropolitan of Kiev and All Ukraine in his new and important ministry.